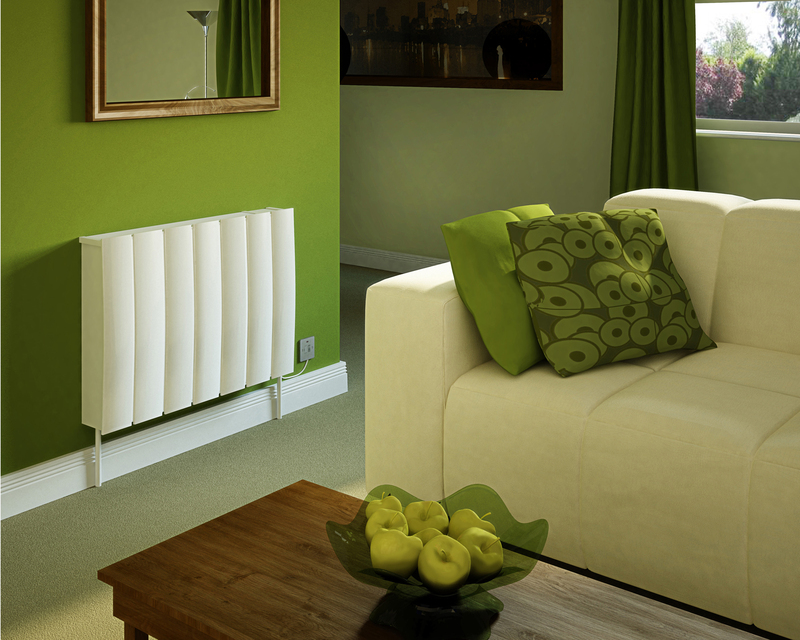 Heating expert, Dimplex, has launched its latest fan-assisted wet electric radiator: the EC SmartRad. This new radiator exceeds the performance of traditional alternatives, despite being just half the size. With an upgraded fan motor and new software features, the SmartRad delivers greater efficiency and control over traditional central heating. Though compact in design, the combination of its large surface area heat exchanger and fan enables a room to be heated five times faster, with no overshooting. Intelligent controls monitor the air temperature and automatically adjust the fan speed to closely regulate heat output room-by-room. This delivers improved comfort and energy efficiency compared to a traditional central thermostat system. With a highly efficient EC motor offering smooth fan start-up and variable fan speed, SmartRad’s intelligent control not only automatically adjusts the heat output in a room, it can also reduce fan speeds to a whisper, so it will not disturb sleepers during even the coldest nights. Christian Hadley, installed product marketing manager for Dimplex, said: “The capability that Dimplex SmartRad provides to control your home temperature on a room-by-room basis and the ability to self-adjust fan speed to accurately maintain temperature is simply revolutionary for water systems. For homeowners with air source or ground source heat pump systems, SmartRad can help to boost efficiency by allowing these systems to work at a much lower flow temperature, keeping running costs to a minimum. Whereas for new builds or refurbishment properties where wall space is at a premium or underfloor heating isn’t practical to install, SmartRad is a good option due to its compact size. With four models with nominal outputs from 800W to 1800W, in a choice of white metal or white glass, there is an EC SmartRad to suit every home.